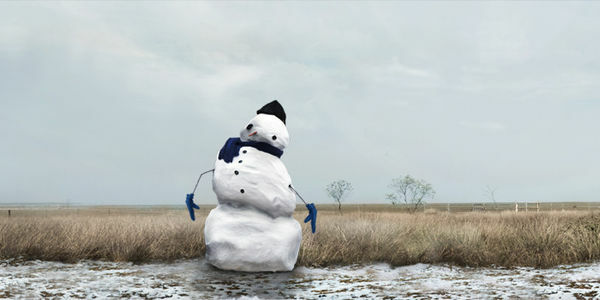 petition: Save Our Snowmen. Support Innovation To Combat Climate Change! Save Our Snowmen. Support Innovation To Combat Climate Change! With global temperatures rising, winter is starting later and ending earlier than ever recorded and the consequences could be devastating for humans, animals, and snowmen. Scientists predict that climate change will result in a 67% decline in animal populations by 2020, rising sea levels will submerge nearly 28,800 square miles of coastal land by 2030, and roughly 130 million people will become climate refugees. Each of us emit 17 tonnes of carbon dioxide each year. Activities like blow drying your hair, cooking dinner, and even breathing produce this climate-torching greenhouse gas. While it's impossible to reduce this impact to zero, we can help combat climate and save our winters by supporting projects that cut emissions on a large scale. That's why Cool Effect is building a movement to connect passionate people like you with entrepreneurs from around the globe who are using innovative technology to address climate change – whether that's bringing wind power to Costa Rica, preventing deforestation in Peru, capturing methane in Colorado, or improving cookstoves in Uganda so families don't have to rely on wood stoves. Together, we can create a cumulative effect to cool the planet and save winter – but time is of the essence. Pledge your support for Cool Effect and join our movement to combat climate change and save winter!